For the past few years I've been volunteering some of my time to support the local theatre. 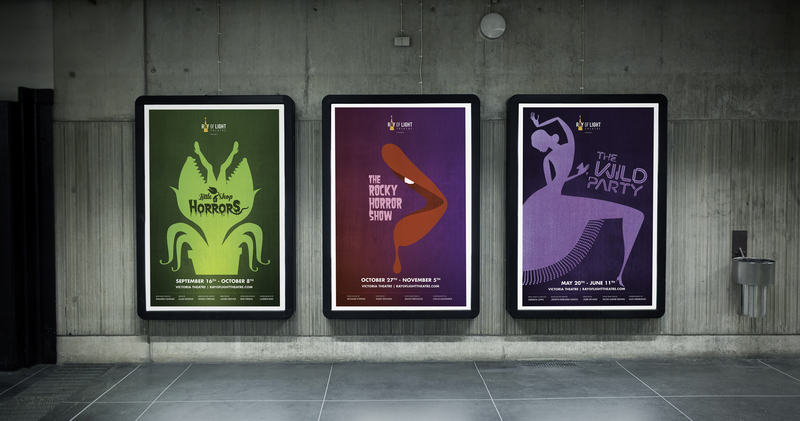 I've been leading all the design initiatives to create minimalistic graphics for Ray of Light Theatre. Founded in 2001 by Shane Ray, Ray of Light Theatre has quickly developed a reputation for fresh interpretations of the classics and bold new musicals that push boundaries.